You can support our vital science work by becoming a member, donating as an individual or organisation, or volunteering your time. 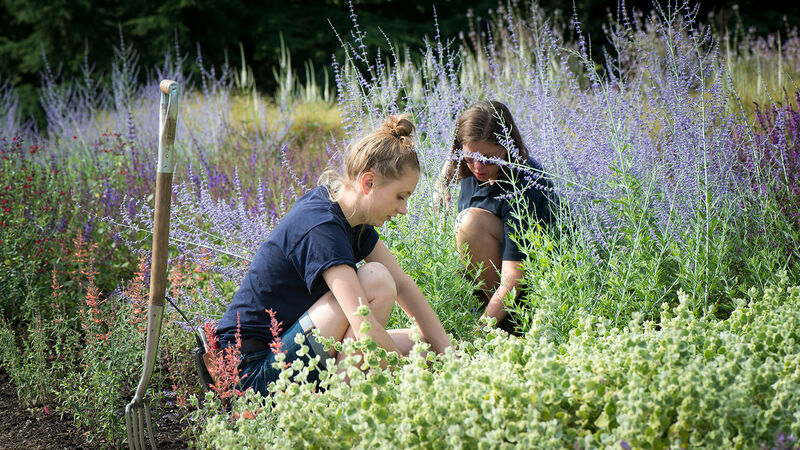 Our Patrons are at the forefront of Kew’s community, enjoying a close and fulfilling association with our scientists, horticulturists and other experts. Our new Children’s Garden will introduce the next generation to the wonders of nature. But it’s more than just a fun space. It’s a place to discover big ideas. We need your support today to help us complete this remarkable garden. There are many ways to support our work as an individual or an organisation. By leaving a gift to us in your Will, you can help secure the future of Kew’s science, conservation and world class botanic gardens. We offer wonderful ways at Kew and Wakehurst for you to celebrate a birth, birthday, wedding, anniversary, special event or commemorate a loved one. Finding out how your company can partner with Kew, how we work with charitable trusts and foundations, and the work of Kew Foundation America. Tackle challenges such as climate change. Protect endangered plants and fungi. Discover new and sustainable uses for plants and fungi. Support local communities around the world. Inspire new generations with a passion for plants and fungi.